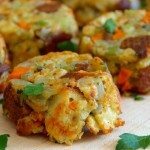 Stuffin Muffins | Food, glorious food! 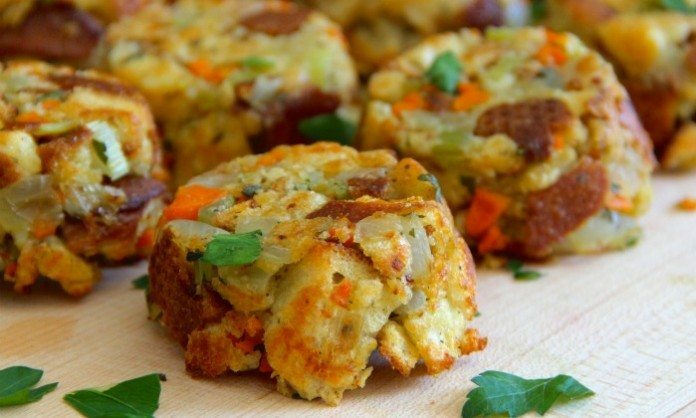 Thanksgiving stuffing that you will surely want to eat anytime of the year! You can add diced apple, dried cranberries, nuts or even sausage if you're feeling ridiculously fancy. This consists of two steps: drying out the bread and dicing and sauteing the vegetables. If you're on top of things, you can slice the bread into 1 inch thick or less slices and leave it out on the counter overnight. Or pop the sliced bread into a 250 degrees Farenheit oven on top of a baking rack on a sheet pan. It will take 15-20 minutes to dry it out, so you can chop and saute your veggies while you wait. Saute the vegetables in four tablespoons of butter until soft. Add in the poultry seasoning and herbs if using. Feel free to add pepper at this point too - but wait to add salt until the chicken stock gets added. Spray your muffin tins with cooking spray and spoon the mixture in. Pack the stuffing down into the tins. Bake at 350 degrees Farenheit for 15-20 minutes or until they're turning nice and golden brown. 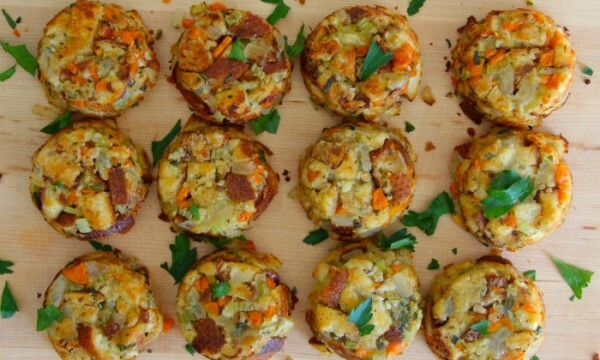 Let the stuffin' muffins cool for 5-10 minutes and then flip the whole pan over onto a serving platter! Enjoy! 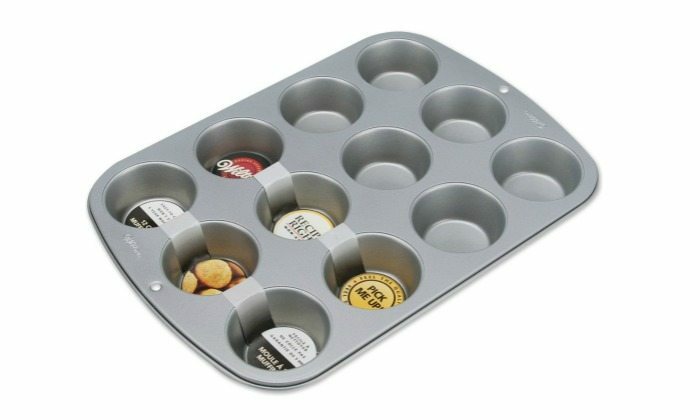 Bake your Stuffin Muffins in this Wilton Recipe Right Nonstick 12-Cup Regular Muffin Pan from Amazon! Thanks to jessyratfink for this wonderful idea!